I've started putting together a White Dwarf index using Zotero (free reference management software). My main reason for doing this is to help me navigate my vast White Dwarf collection and not having to flick through a number of issues to find that one article that I'm looking for. Also, I've not been able to find something similar on the Web, so I decided to create my own. There used to be an excellent site called gamehobby.net with a great WD index, but it's now only available through the Wayback Machine. I've nearly finished with the articles for Warhammer Fantasy 4th edition (1992-1996), and I've already done a few articles for 5th (1996-2000) and 6th (2000-2006). Once finished with 4th, I'll continue with 5th and 6th. Once that's done I'll look at 40K 2nd edition. At this time I'm mainly interested in the older articles ("older" here means between 1993 and 2005), but I may continue cataloguing the newer ones as well. Since all articles are created in a reference manager they can be exported and formatted in a number of ways. So, if you ever wanted to write a paper about Warhammer with references to WD articles it's never been a better time! 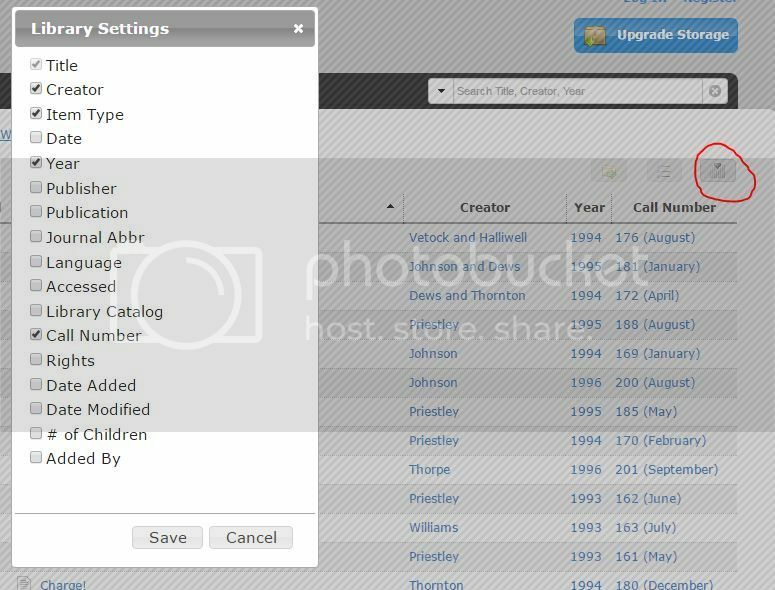 Tip: In order to make the list show the most relevant information click "Library Settings" top right and tick the following boxes: Creator, Year and Call Number. Now that is a great resource. Good work!